Last weekend the Farmers Market season opened and I’m back in the swing of things. Had several nice conversations with people – both new and old. That’s my favorite part of the market – making and maintaining relationships. I got a good question at the Newark Natural Foods Market about how to build a deck close to the ground so I wanted to spend a little time exploring that. The person was looking for a way to have a deck in place of grass but didn’t have a lot of money to spend on building a deck. We went back and forth on ideas. 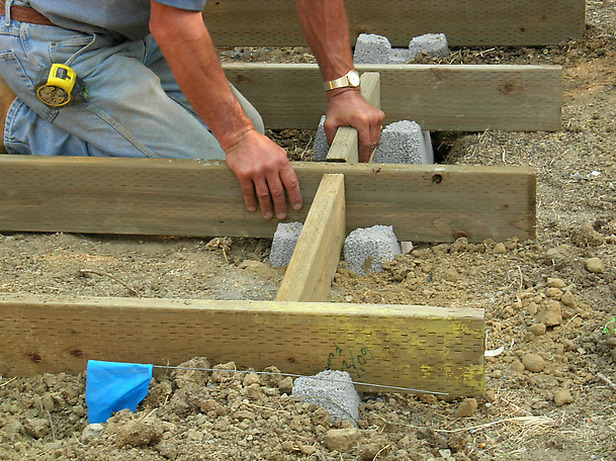 The usual way is building a traditional deck very close to the ground. At it’s best you will get a deck to be about 8″-12″ off the ground. Which was too high for this person. Second choice was to use Dek-Blocks – saves time in digging foundations, but still has the problem of height. 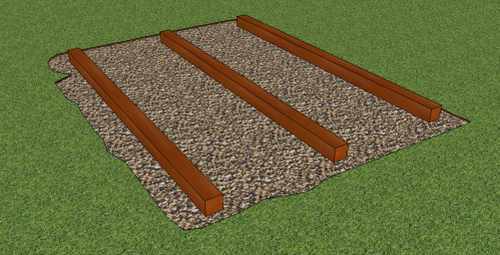 I suggested using a timber foundation as a way to get the foundation & structure lower, since you can set it into the gravel. If you set the timbers on 24″ centers you can deck right on top of them. That led to suggesting that they build a mat of composite decking on the ground, like duck boards. The idea is that it is a self-supporting unit that floats on the ground. To be effective it needs to be a pretty level part of the lawn. First you remove the sod. Then lay down landscaping fabric and 2″-4″ of gravel extending beyond the edges of the deck area. Then lay 2×4 composite decking on 24″ centers on the gravel, running the short direction. 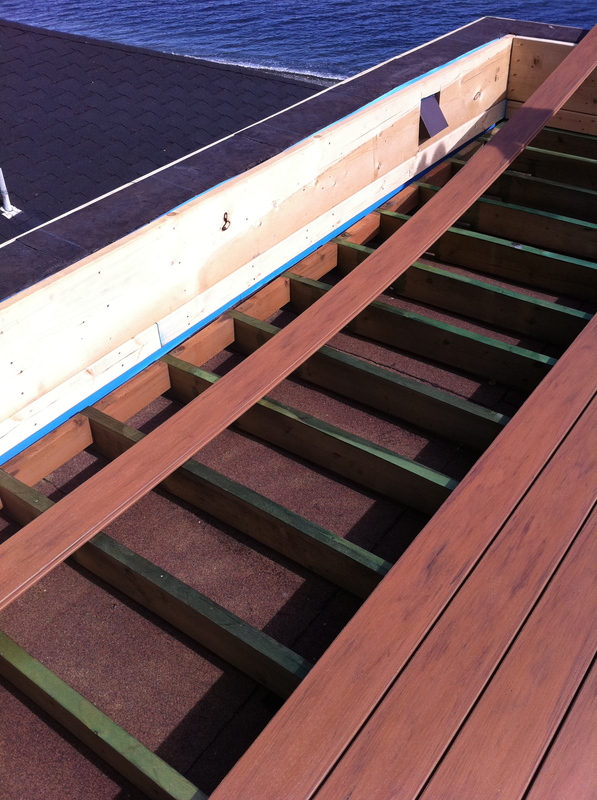 Level those and then install 2×4 decking on top running cross-wise. I’d put a large gap between the decking to allow trapped moisture to escape. Much like building a roof deck. Searching around I have found a few people who have tried this, but no results yet. Let me know your thoughts in the comments.